We are thrilled to present this sweet and entertaining melody by our friend Stephen. At Stephen’s request, if you enjoy this song, please consider donating to http://www.triumph-foundation.org/, a non-profit that helps people with spinal cord injuries. The organization recently lost their storage facility full of goods meant for new spinal cord injuries in a fire. Next Article Ask Nurse Patty: Do you have any tips for cathing by touch? Hey Buddy!, I found this information for you: "PUSHLiving Presents “Just For You” Song Written and Performed by Stephen Feldman". 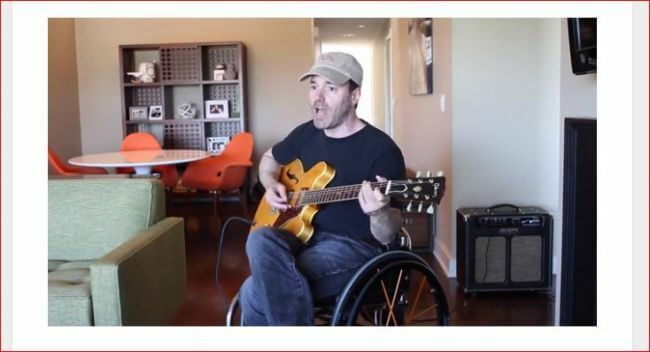 Here is the website link: https://pushliving.com/pushliving-presents-just-for-you-song-written-and-performed-by-stephen-feldman/. Thank you.